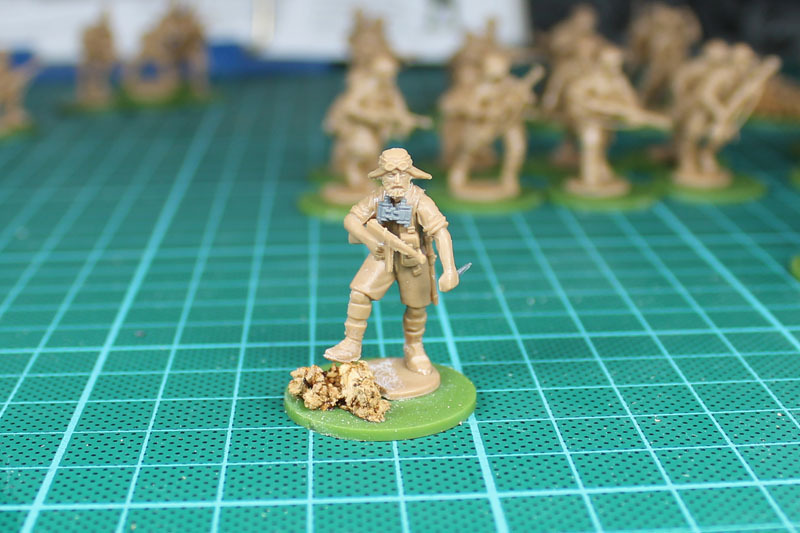 A prolonged Whitsun Weekend means some time for the hobby. 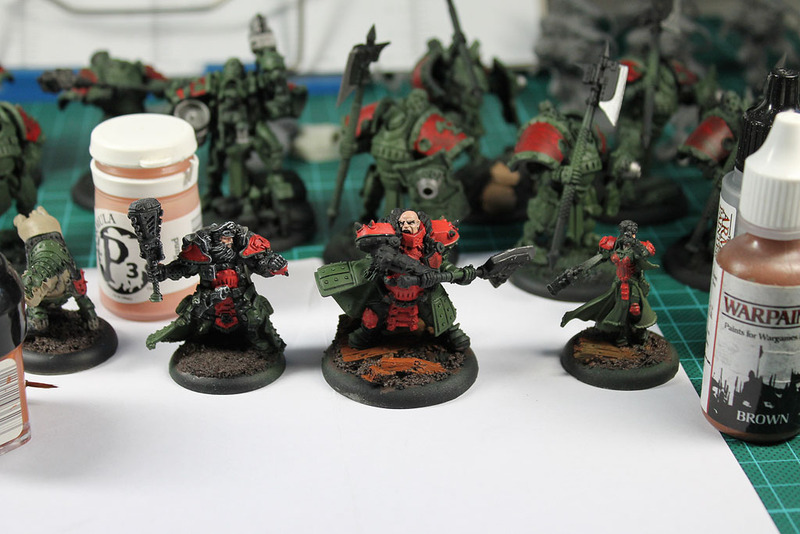 I put some additional paint onto the Khador, more progress on the basic colours. Slowly, but steady. 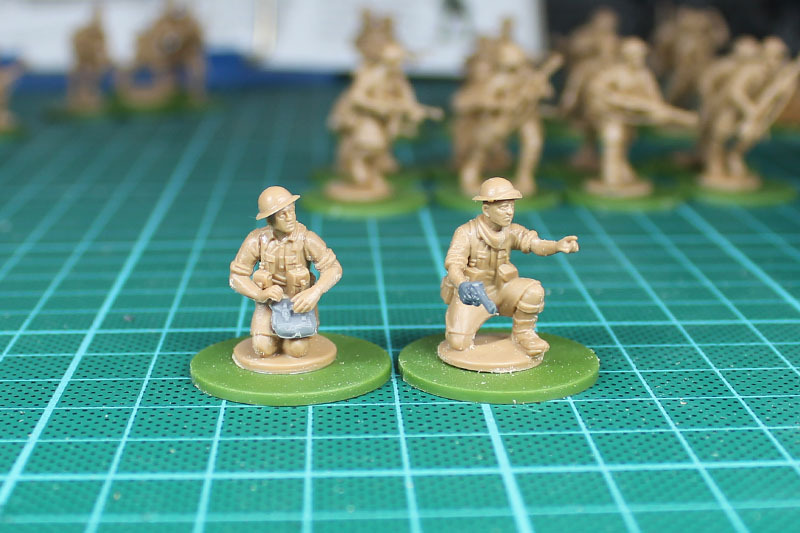 To be honest, many of the miniatures aren't fun to paint and i found some minor miscasts. Especially with the new price tags, that just isn't cool. 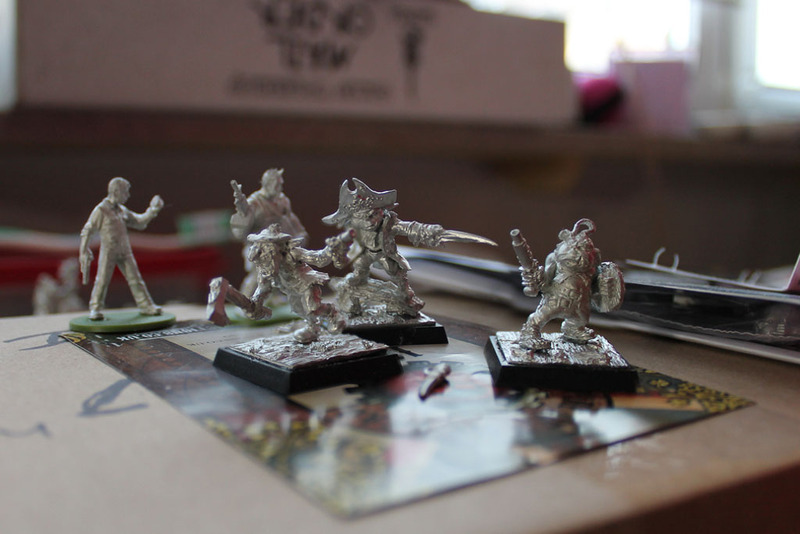 But what is cool, some more Freebooter Goblins and Hasslefree modern combatants. 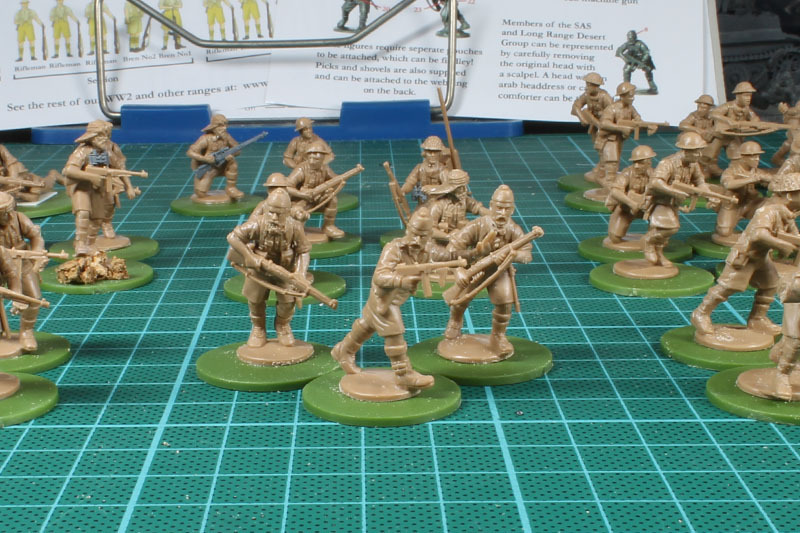 And finally the Armies of Great Britain supplement for Bolt Action arrived. 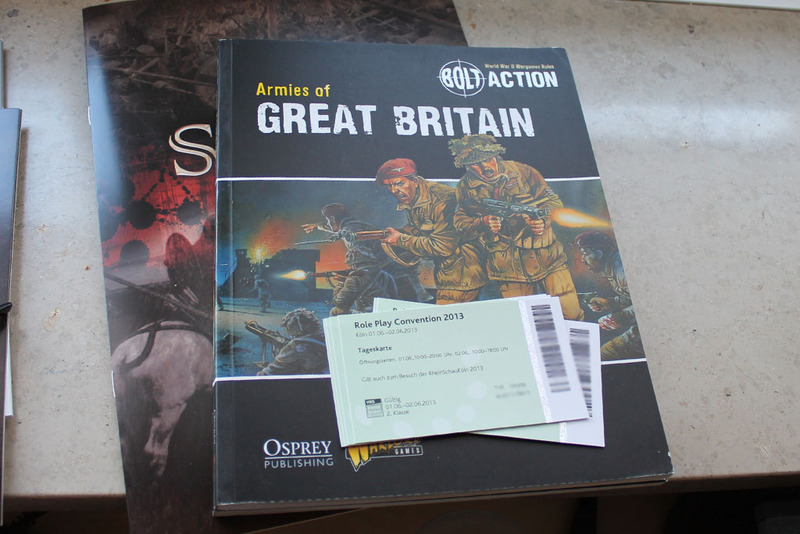 To celebrate this, i am going to give away 3 tickets for the RPC 2013. Just get in touch with me and tell me, why you should got to Cologne. 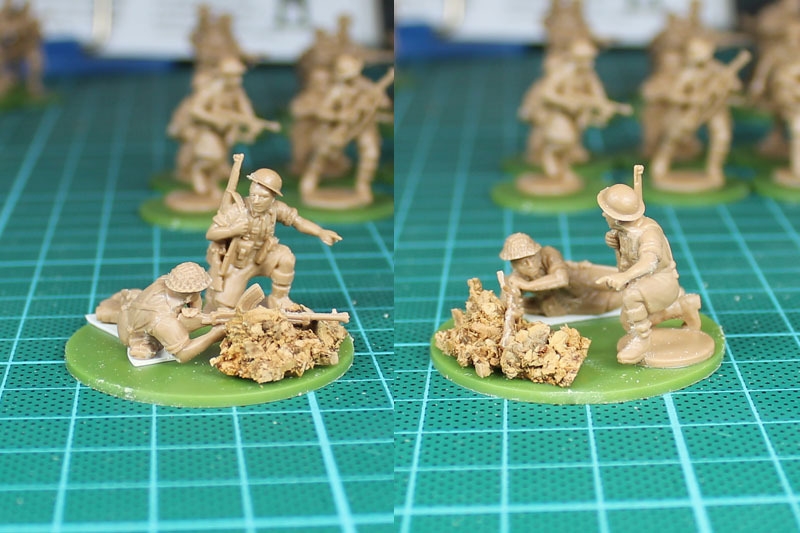 With the Great Britain book i could start the work on the Perry Miniatures Desert Rats. 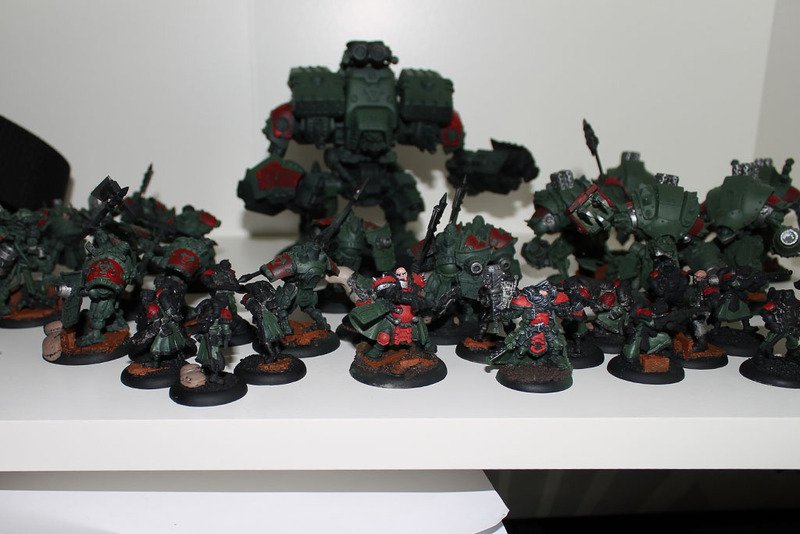 Two boxes, each 38 Miniatures and a lot of option. Add some time and this is what you get. 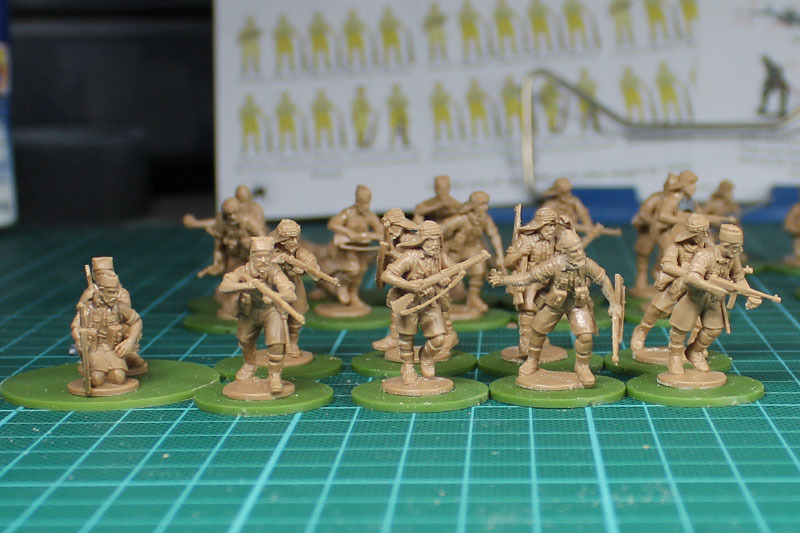 A couple of regular Infantry Squads as well as some Long Range Desert Group / SAS. 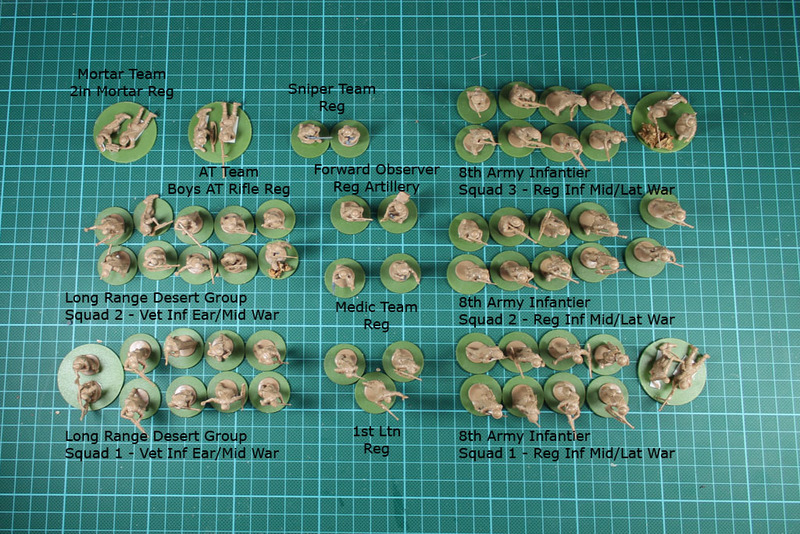 The boxes contain enough miniatures and parts to build up - in my case - a 943 points Army for Bolt Action, and still a lot of spare parts. 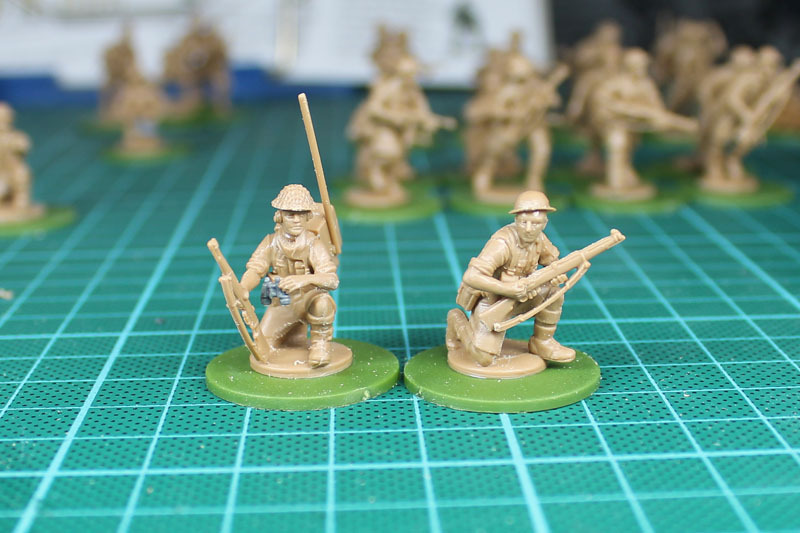 Some close ups, i build up a Sniper Team by using a scoped rifle from the Bolt Action British Infantry Weapon Sprue, a Forward Observer Team with binoculars from the same sprue, and a Medic team by adding a pistol and bag from the Bolt Action British sprue. 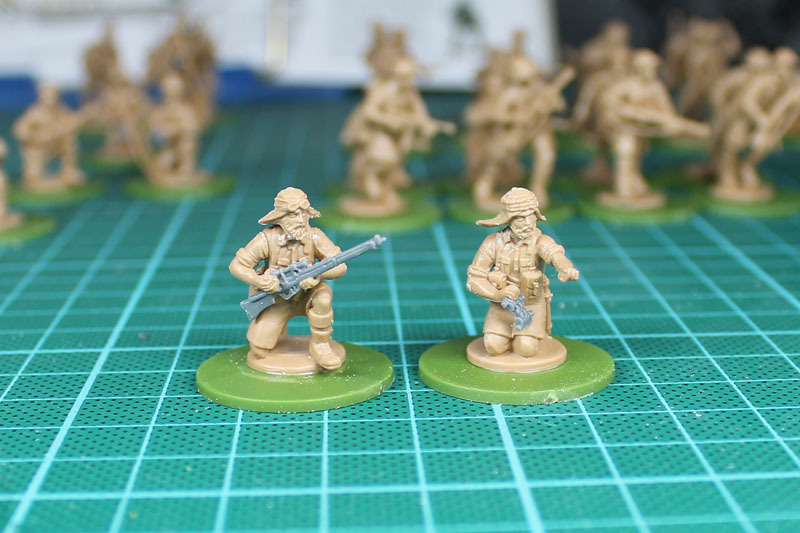 I was heavily inspired by the great project from Captain Blood over at Lead Adventure. 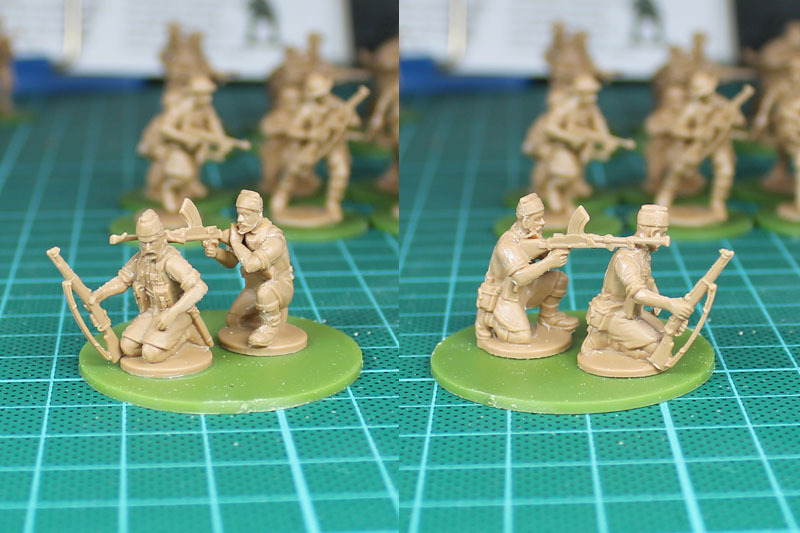 The NCO got a commando knife und some binoculars, some toying around with the LMG Teams brought more variation. Long story short. 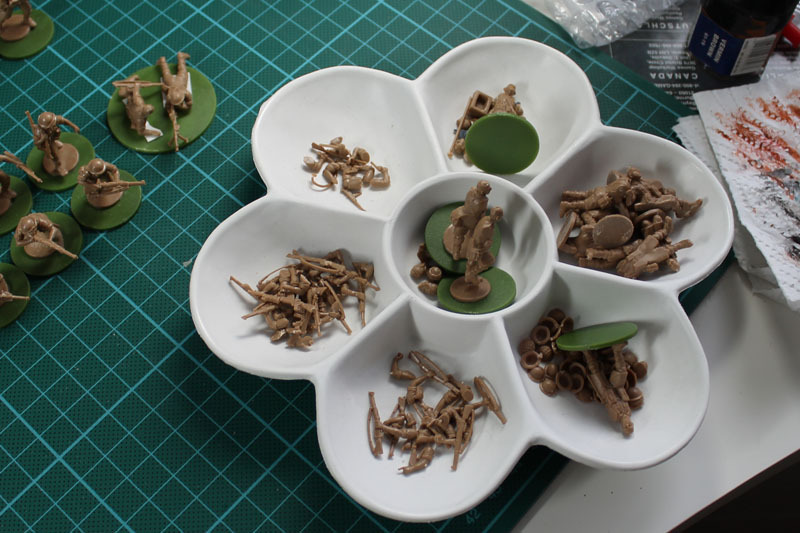 36 Pounds of perry plastics bring you almost a tournament sized army. Great deal! 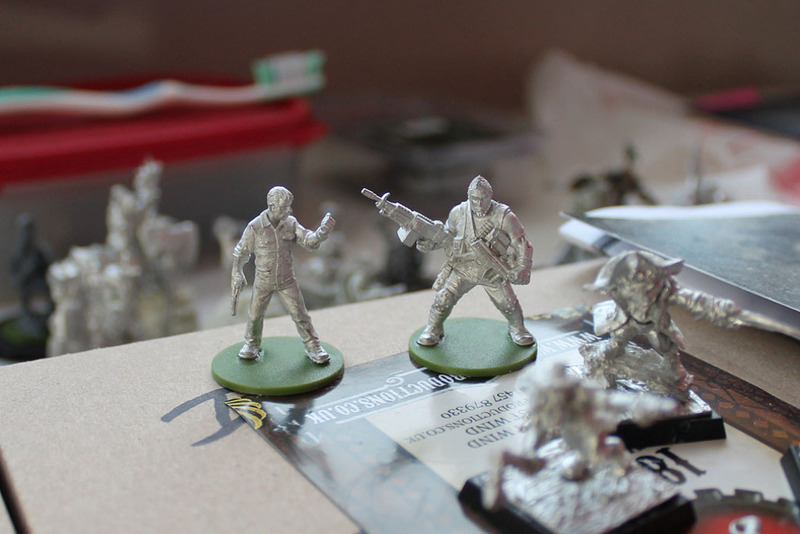 Both, the book and the miniatures will get a closer look in an upcoming review. schick schick. sehr schön, wie du mit gehörig fantasy da so lebendige szenen hinzauberst… mh, sagmal das perry plastik hat aber eine seltsame farbe, ist es von der festigkeit auch anders? Das ist ganz klassisch das gleich Plastik wie GW es auch einsetzt, nur eingefärbt. 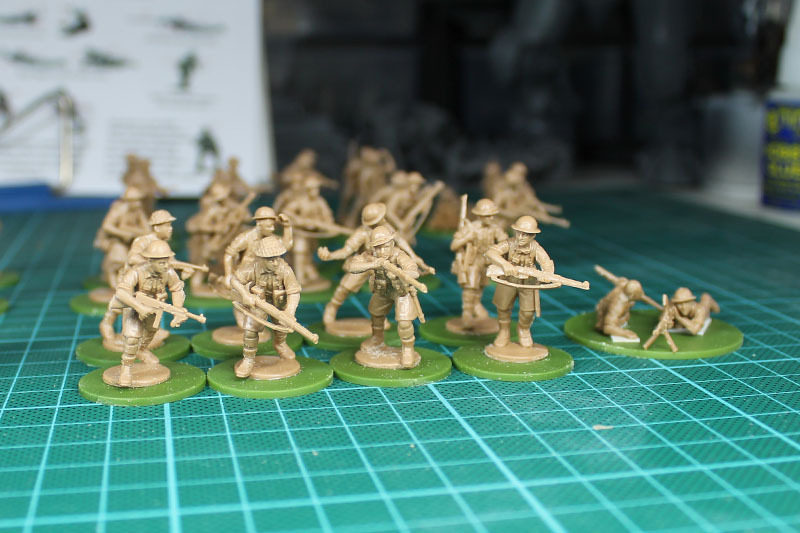 Macht Renedra bei den Bases auch, sind in Grau, Braun und Grün erhältlich. Ist aber alles das gleiche Material.